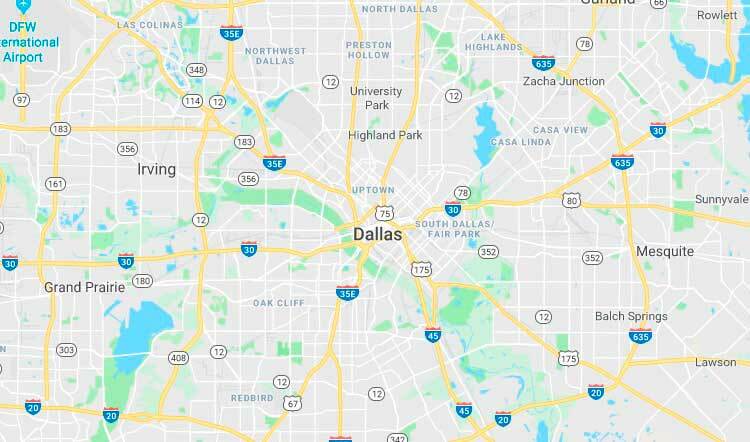 Commerce is a city in Hunt County, Texas, United States, situated on the eastern edge of North Texas, in the heart of the Texas Blackland Prairies, and the northeastern part of the Dallas/Fort Worth Metroplex. The town is 66 miles (106 km) northeast of Dallas and 45 miles (72 km) south of the Texas/Oklahoma border. Commerce is the third largest city in Hunt County, with a population of 8,078 at the 2010 census and an estimated 9,091 in 2016. The city is home to Texas A&M University–Commerce, a four-year university of over 12,000 students that has been in the town since 1894. Commerce is one of the smallest college towns in Texas. The town of Commerce was formed when two merchants named William Jernigan and Josiah Jackson established a trading post and mercantile store where the present-day downtown area is. The rural area just to the northeast was an open prairie originally known as Cow Hill. The town was established in 1872 and named "Commerce" due to the thriving economic activity among the cotton fields and ideal farm and ranch lands between the Middle and South Sulphur rivers on the rich, black gumbo prairie in northeast Hunt County. The town incorporated in 1885. Two years later, a railroad was built through Commerce to transport merchandise from Fort Worth, and nine years later, William L. Mayo, a college educator, moved East Texas Normal College from the northeast Texas town of Cooper to Commerce after the original school in Cooper was destroyed in a fire. Mayo continued as president of the college, now known as Texas A&M University–Commerce, until his death in 1917 and is buried on the campus grounds. As of the census of 2010, there were approximately 8,078 people, 2,881 households, and 1,524 families residing in the city. The population density was 1,183.3 people per square mile (456.9/km²). There were 3,405 housing units at an average density of 525.4 per square mile (202.9/km²). The racial makeup of the city was 71.07% White, 20.78% African American, 0.42% Native American, 2.59% Asian, 0.21% Pacific Islander, 3.13% from other races, and 1.80% from two or more races. Hispanic or Latino of any race were 7.65% of the population. There were 2,881 households out of which 28.4% had children under the age of 18 living with them, 35.0% were married couples living together, 14.0% had a female householder with no husband present, and 47.1% were non-families. 36.1% of all households were made up of individuals and 10.1% had someone living alone who was 65 years of age or older. The average household size was 2.27 and the average family size was 3.02. Bio-One services all types of trauma, distressed property, and biohazard scenes in communities throughout the East Dallas Area. We partner with local authorities, communities, emergency services personnel, victim services groups, hoarding task forces, apartment complexes, insurance companies and others to provide the most efficient and superior service possible.